The Vale Golf Club is located in Pershore, England. 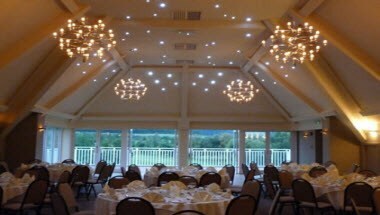 It is set in 300 acres of stunning countryside, The Vale Golf & Country Club offers golfers and guests fantastic golf with excellent conference and meeting facilities and a serene atmosphere in which to relax and entertain. 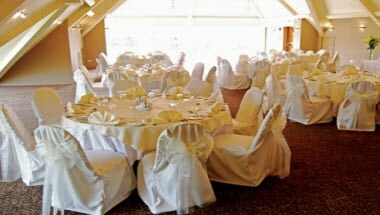 With superb views over the Malvern and Bredon Hills, The Vale is situated in a natural amphitheatre of mature woodland in breath taking scenery making it the perfect location to celebrate any special occasion. 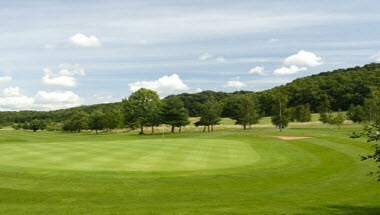 With its two golf courses, including our championship International course, The Vale Golf Club is one of the finest venues for Golf in Evesham. 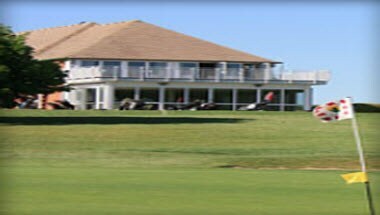 Our facilities also include an eighteen bay flood lit driving range, a chipping area, a large putting green and our newly refurbished changing rooms and retail outlet. 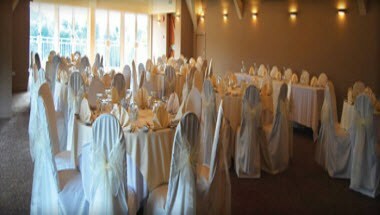 Coupled with our newly refurbished function suite and the breathtaking scenery, The Vale is the ideal venue for weddings, conferences or any special occasion.